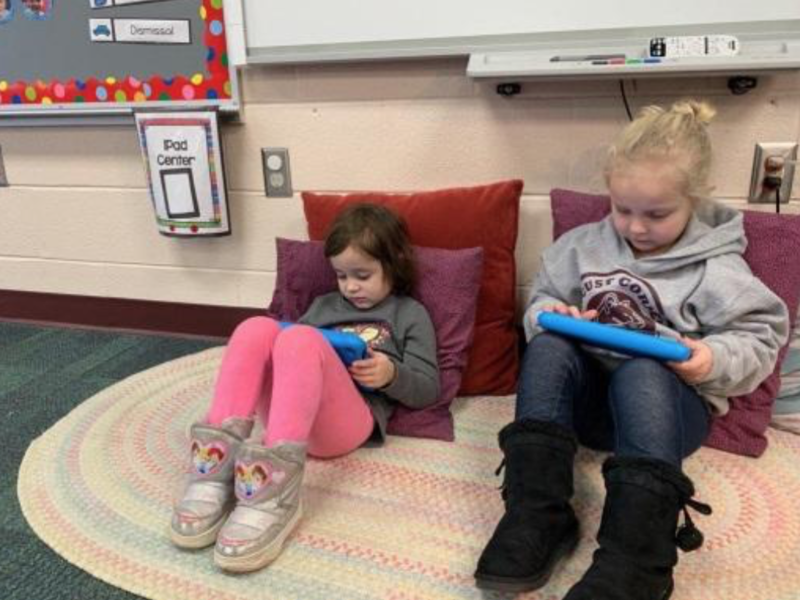 The Clermont County Chamber of Commerce Foundation’s KLICWOW program has entered into a partnership with the New Richmond Schools Preschool classes by sponsoring Amazon Fires for use in preschool classes. KLICWOW has donated 16 Amazon Fires in Preschool classrooms. The District used other preschool grant funds to equip all the preschool classes. The partnership will evaluate the benefit of devices in preschool classes to help students develop literacy skills. The KLICWOW program is a program that is part of the Clermont County Chamber of Commerce’s Agenda for the Future project. The Clermont County Chamber of Commerce shares a strong commitment to providing the best educational opportunities for all the children in our Clermont County community. The KLICWOW program is a 3-legged project that combines early learning strategies with the use of technology and engagement on the part of parents and the community as a whole. The Chamber program provides a free tablet to each three and four-year old whose parent is committed to participate. The Chamber has been able to provide tablets to more than 500 families since the program started. The New Richmond Preschool Partnership Project is being evaluated to determine whether this is a way by which 3-5 year old children can be positively affected with literacy applications through devices and the KLICWOW program can best meet the needs of children in Clermont County and keep pace with the growing number of early childhood students. More to come.